You're looking at the must have convertible of 2018. Aston Martin has made no secret that the drop-top DB11, dubbed the Volante in Aston speak, will arrive in Spring 2018. In fact, that’s exactly what the writing on the side of the car indicates. We’ve previously spied the car cold weather testing, but this time a video has emerged of the car doing some laps on a rain-soaked Nurburgring. Aston will fit the DB11 Volante with a fabric roof, much like the DB9 before it, with sound-deadening properties to keep occupants comfortably cocooned in what will doubtless be a very luxurious cabin. To accommodate the roof, the Volante sports unique side glass and a new rear deck. Changes to the overall look of the car are minimal, not that owners will care once they’re cruising down the street, wind in hair, V12 rumbling out in front of them. 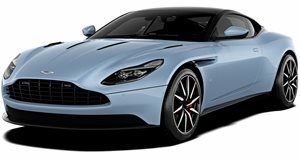 As well as looking almost identical to its coupe twin, the DB11 Volante will be powered by the same 5.2-liter twin-turbo V12 as the coupe, generating 600 hp and 516 lb-ft of torque. The recently unveiled V8-powered DB11, serving up 503 hp and 513 lb-ft of torque, will also be offered in convertible form at some point down the line too. We also suspect the Volante’s suspension will be a tad softer than the coupe’s to satisfy the needs of your typical convertible buyer that prefers to eschew street racing in favor of leisurely drives. It will, however, match the coupe’s 0 to 62 mph time of 3.9 seconds when the need for speed takes over. The DB11 comes in at just under $212,000 in the US, so we expect the DB11 Volante to be priced around the $230,000 mark. 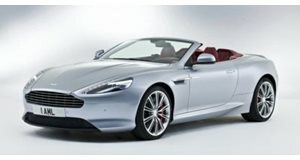 Buyers will have a serious contender to the Ferrari California T and Bentley Continental GT Speed to think about when the DB11 Volante arrives early next year. Which one would get your money?